Before we talk about how to balance Chakras, let us talk about what they are. Chakras are these energy centres that you have in your body that we all need to be happy and healthy, be it physically, mentally or in any other way. 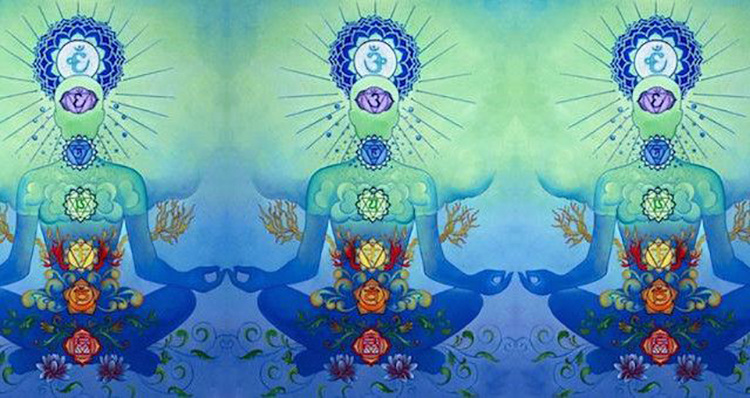 The most important thing to remember about Chakras is that they always have to be balanced to make sure it does not lead any inconvenience or health issues. There is a certain balance to be struck as any of the extremes will make things only worse. Using some colours to keep your Chakras balanced is fun and as useful as it can possibly get. This is near the spine and is red in colour. It is also known as the root chakra. This is on your lower abdomen, just under you naval and the colour is orange. This Chakra’s frequency is yellow as it is near the solar plexus. Near your heart and green in colour. Located near your neck and vibrates blue. Near the pineal gland, between your eyebrows, also known as the “third eye”, and has the frequency of indigo. Right at the top of your head and vibrates violet. If any of your Chakras fall out of balance, the area in which they are situated is likely to be affected. If you have a back ache, the first Chakra is probably out of balance and if your head is splitting, be rest assured that your seventh Chakra is wonky. We all know that there is always medical treatment for all these issues but if you bring your Chakras back into balance, you are likely to solve these issues for a longer period of time, not to mention how absolutely thrilling colour therapy is! If you are getting frequent headaches and want to way out, all you need to do is work on being close to the colour violet as much as you can. This can be achieved through a number of ways. Try spending time in a room that is violet or try out fashion accessories like headbands that are violet in colour! Of course, there are other ways that you will find on the internet. All you need to do is look for them. Just like the colours I just mentioned, each of these Chakras also have a coordinated musical note that will help you get things in order. Note C is for the first Chakra, notes E, D, F, C, A and B are for the second, third, fourth, fifth, sixth and seventh respectively. You can pursue sound therapy through an instrument you play and if you do not play anything, do not fret as there are a number of other solutions. Head on to any music store and you will definitely find CDs about Chakra Chanting and if you are trying to save up, YouTube is all you need!